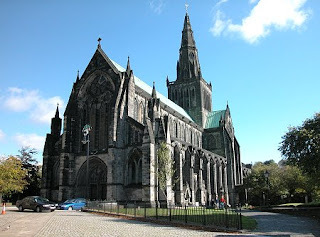 Cathedral with the stunning architecture and history. 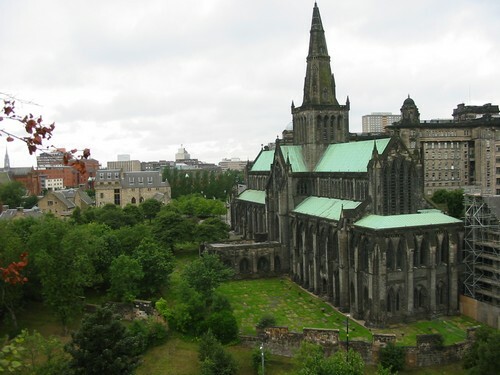 Glasgow Cathedral, Located about a mile to the east of George Square, the Cathedral has one of the finest post-war collections of stained-glass windows in Britain. 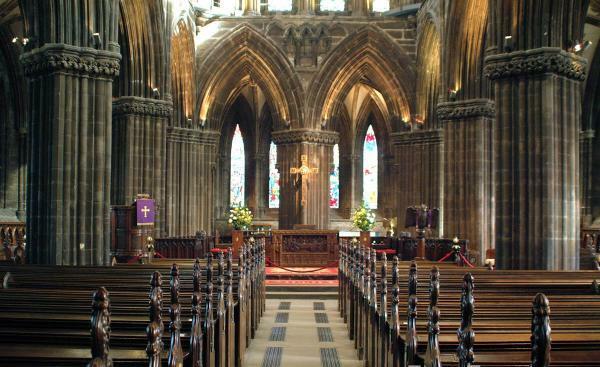 Become the main tourist attraction in Scotland, Glasgow Cathedral has a rare timelessness. The dark, imposing interior conjures up medieval might and can send a shiver down the spine. It's a shining example of Gothic architecture, and the only mainland Scottish cathedral to have survived the Reformation. The cathedral, divided by a late-15th-century stone choir screen, is decorated with seven pairs of figures to represent the Seven Deadly Sins. Beyond is the choir. The four stained-glass panels of the east window, depicting the Apostles (also by Francis Spear) are particularly effective. At the northeastern corner is the entrance to the 15th-century upper chapter house, where Glasgow University was founded. It's now used as a sacristy. 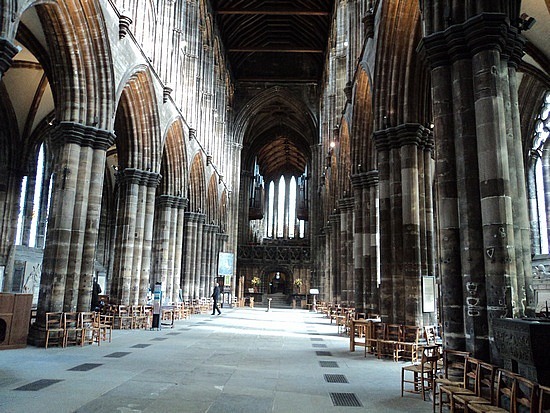 The most interesting part of the cath­edral, the lower church, is reached by a stairway. 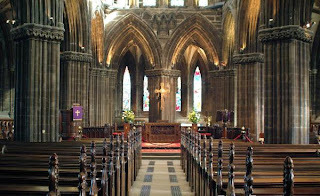 Its forest of pillars creates a powerful atmosphere around St Mungo's tomb (St Mungo founded a monastic community here in the 5th century), the focus of a famous medieval pilgrimage that was believed to be as meritorious as a visit to Rome. Behind the cathedral, the necropolis stretches picturesquely up and over a green hill. Its elaborate Victorian tombs of the city's wealthy industrialists make for an intriguing stroll, great views and a vague Gothic thrill.